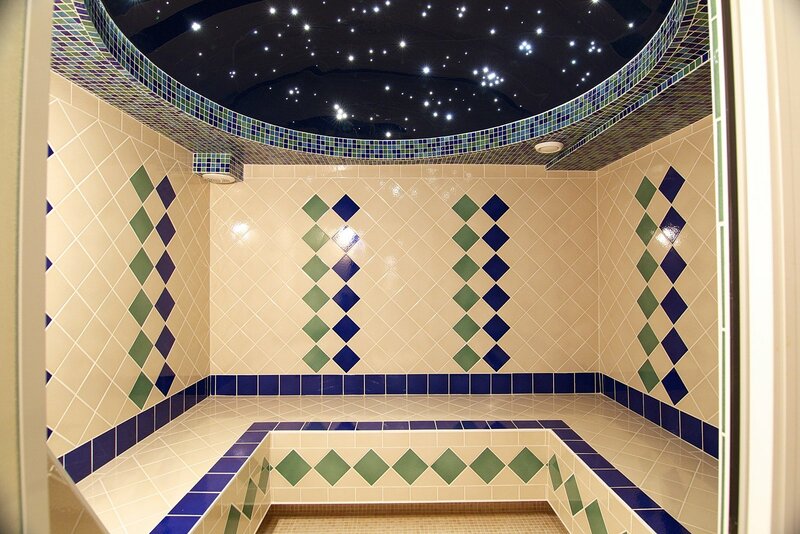 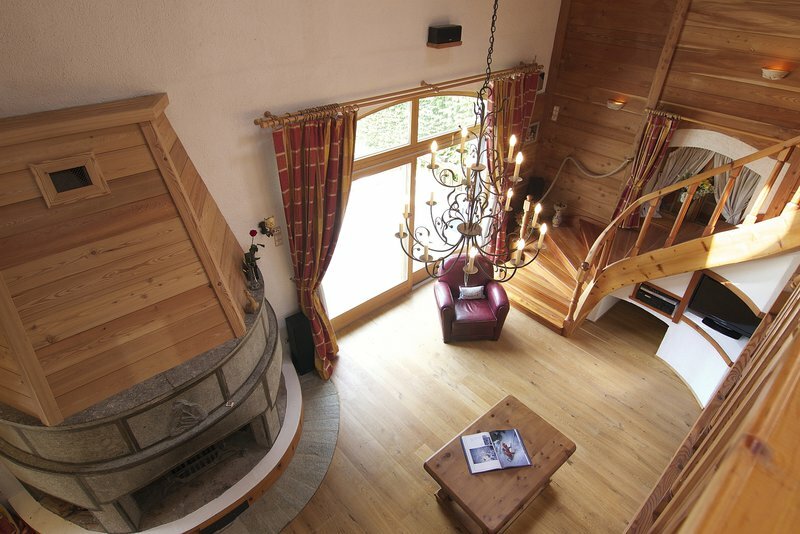 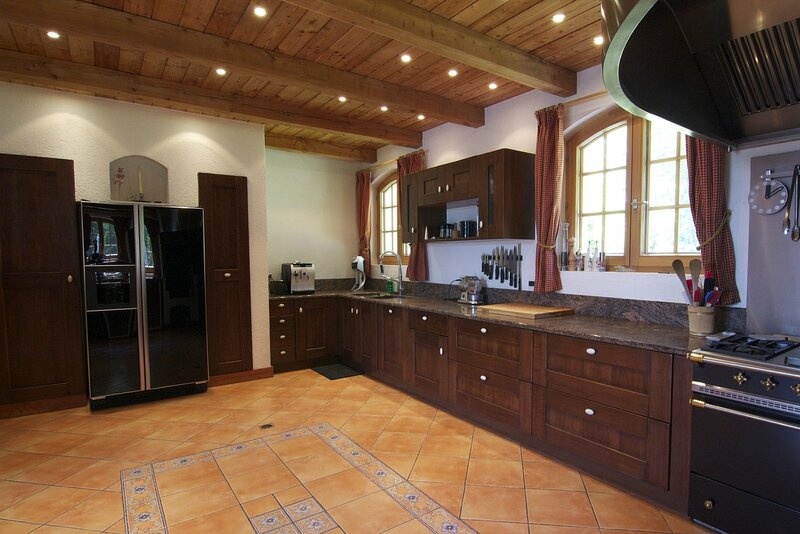 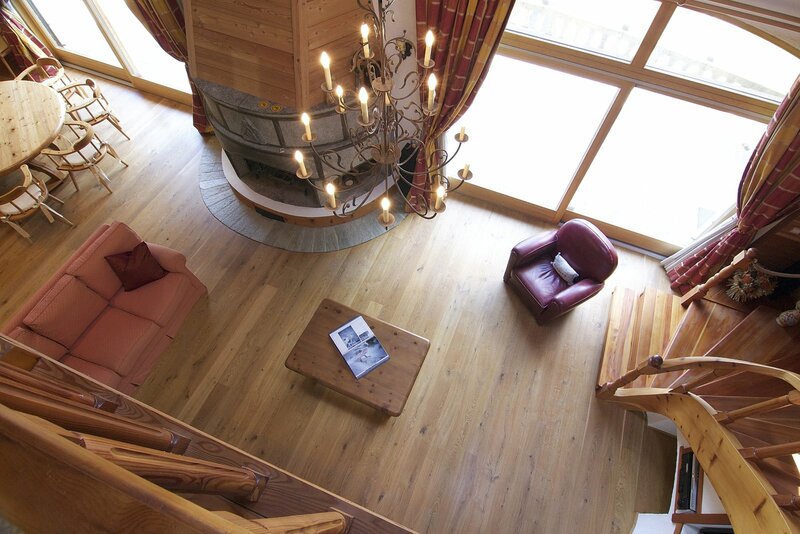 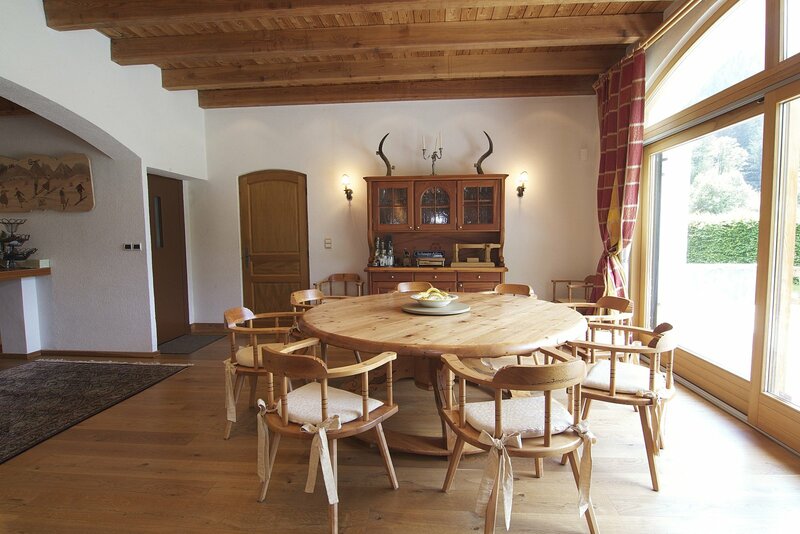 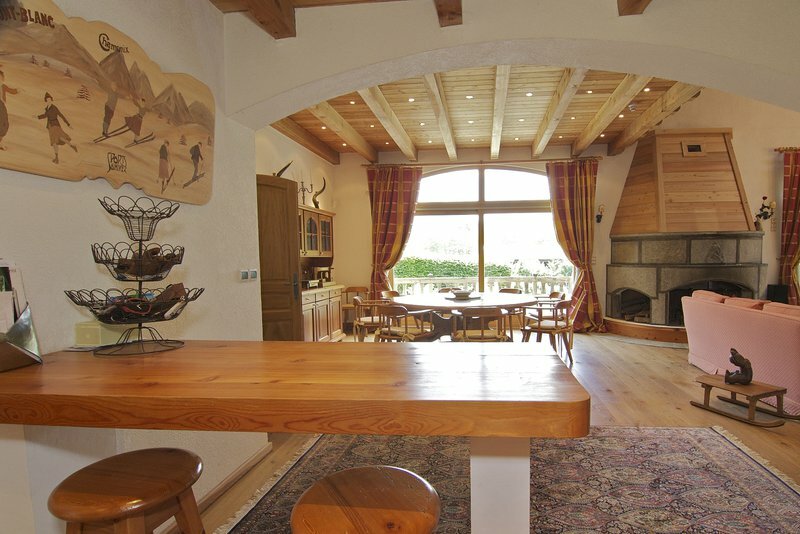 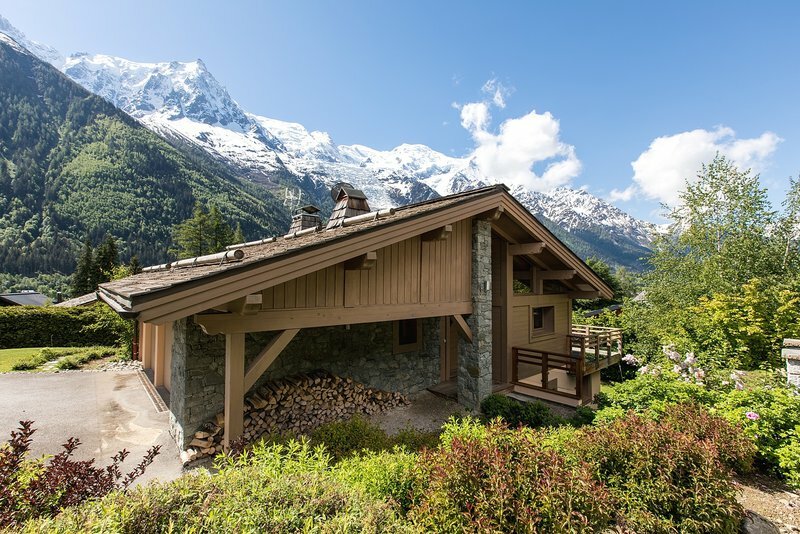 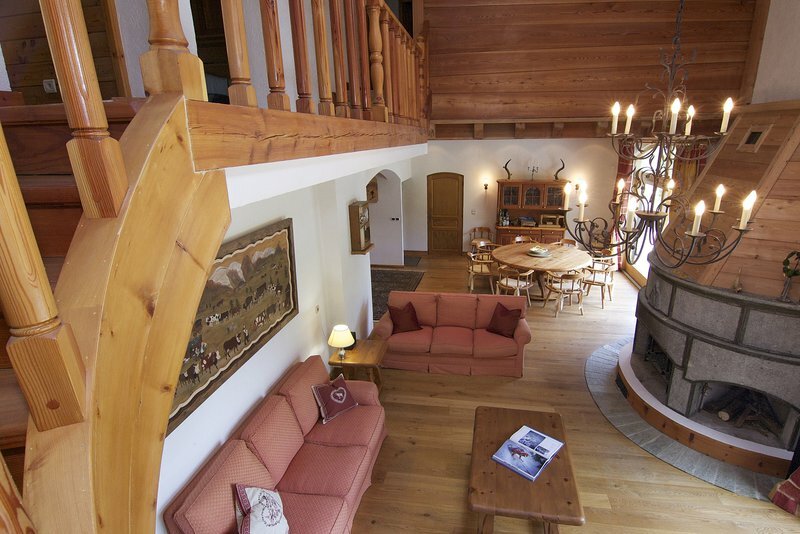 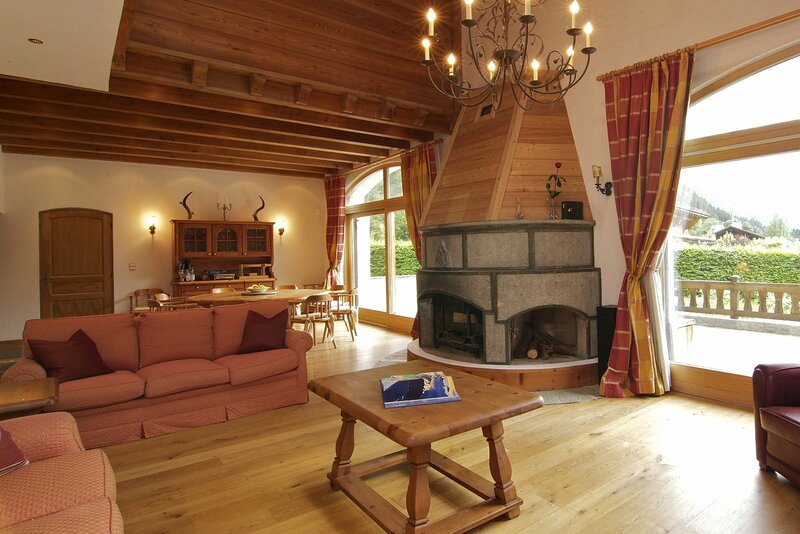 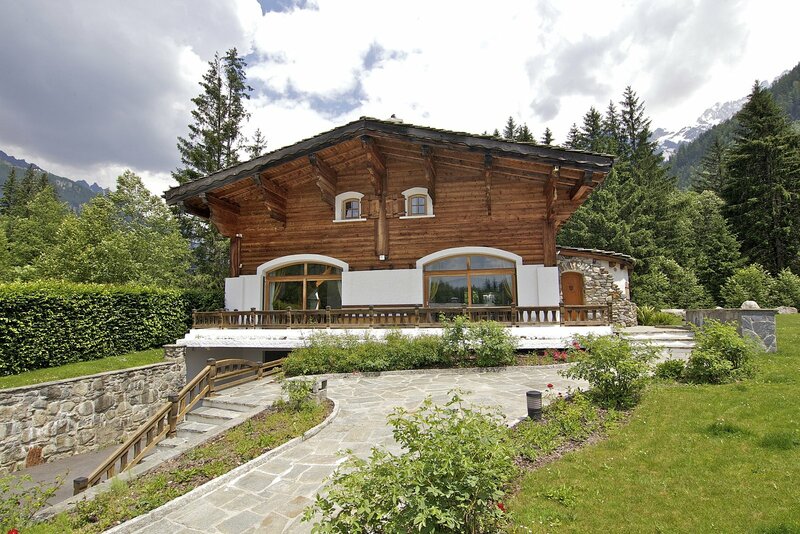 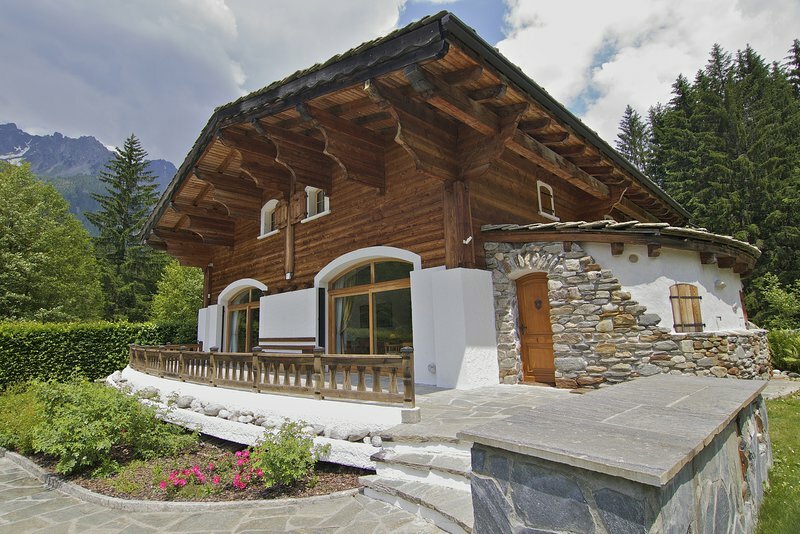 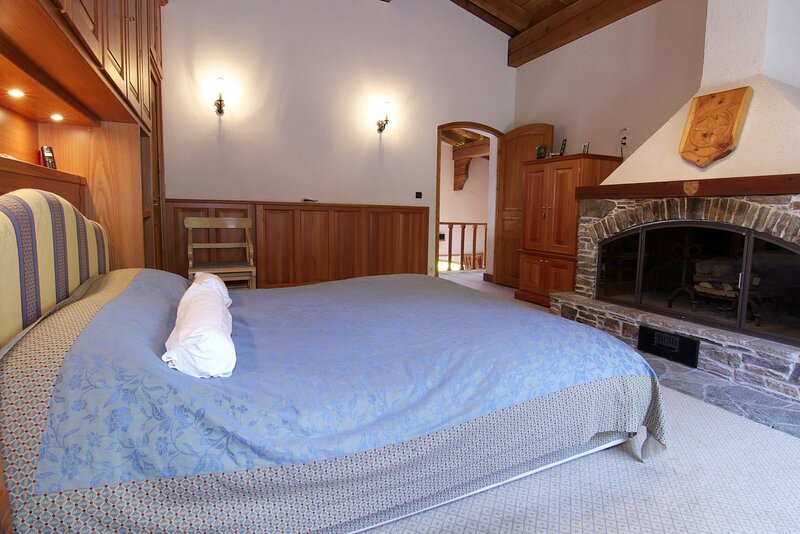 Chalet les Coverays is an American-style 5 bedroom energy efficient chalet with geothermic heating located in the exclusive area of Les Coverays. 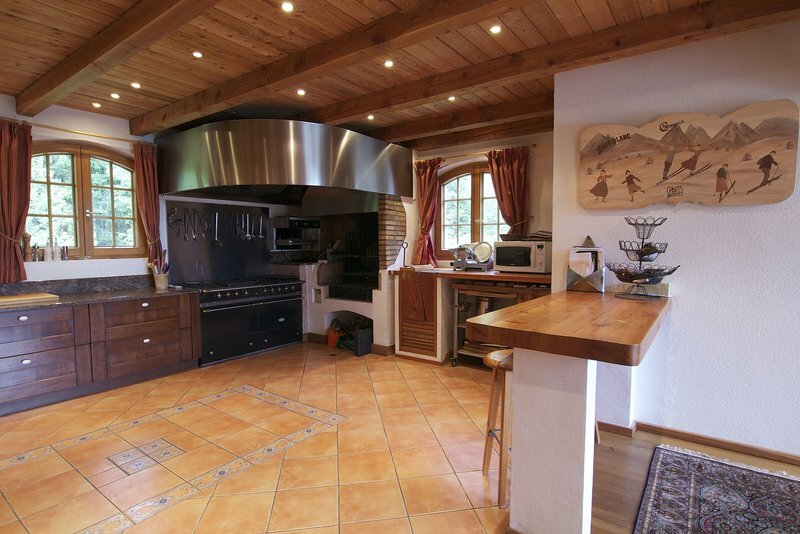 Built over three floors it has a vast open plan double-height living area with fully equipped semi-professional kitchen and stunning grounds with fantastic sunny views across the valley. 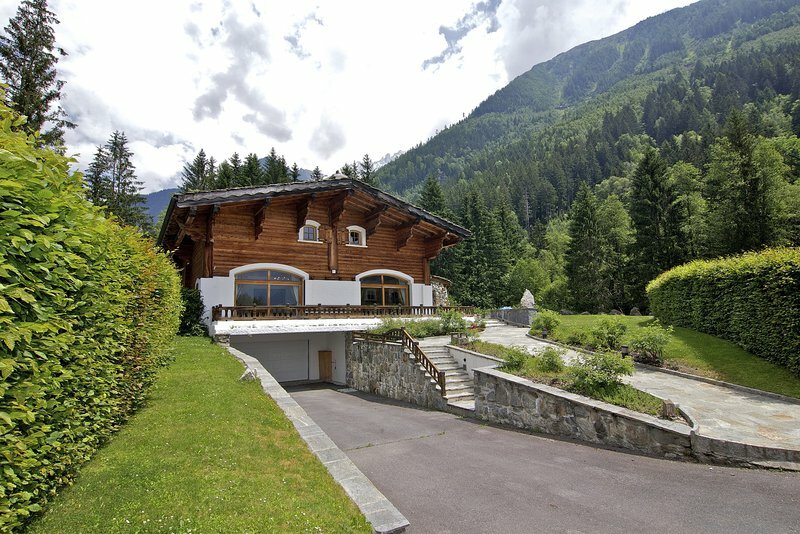 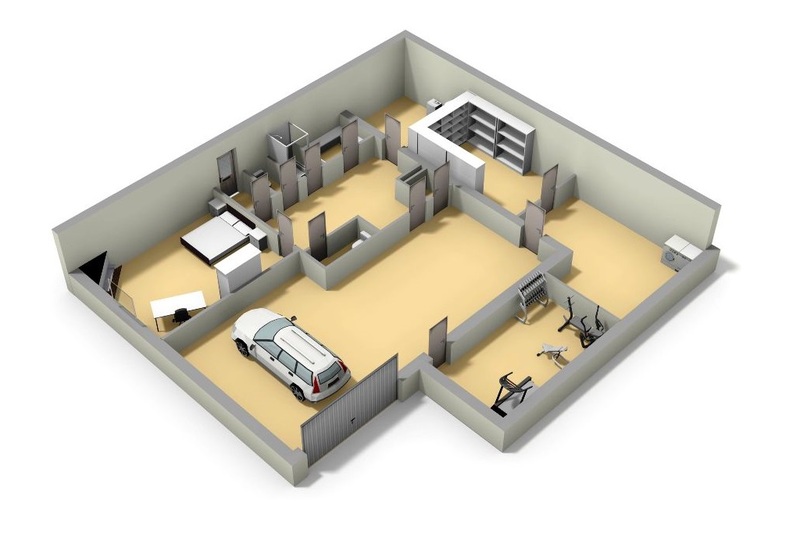 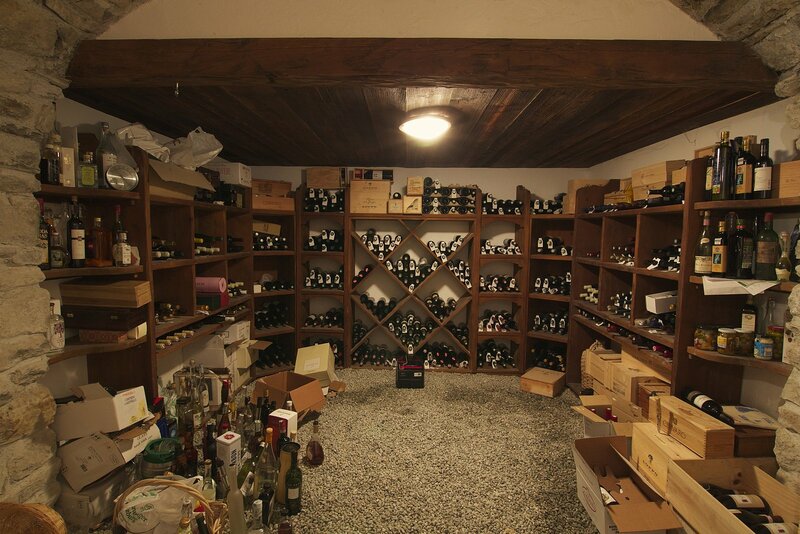 There are very few chalets in the Valley with this space and volume, particularly this close to town. 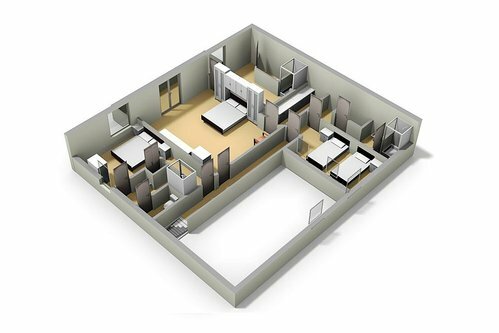 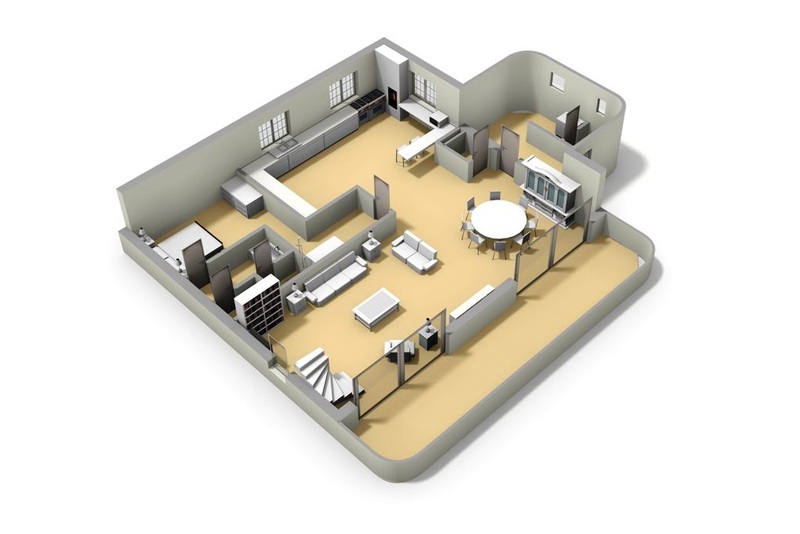 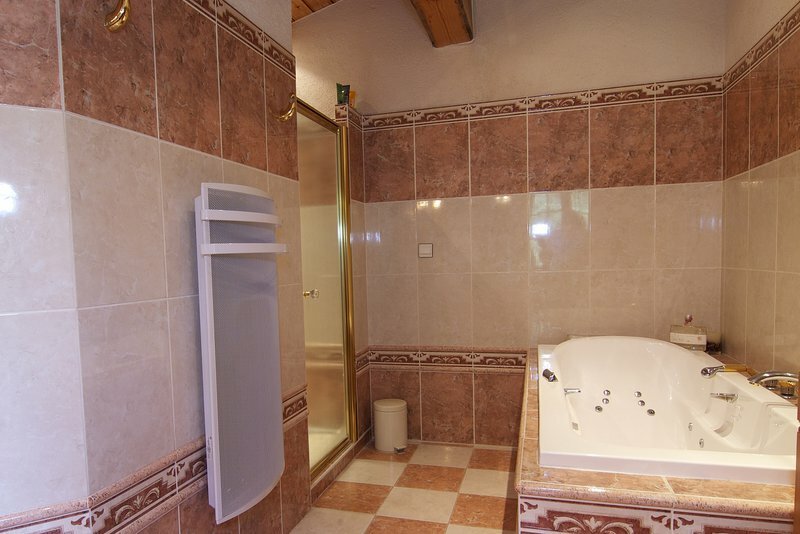 It is a solidly built, highly energy efficient property with a stunning living area and a large, flat and private garden. 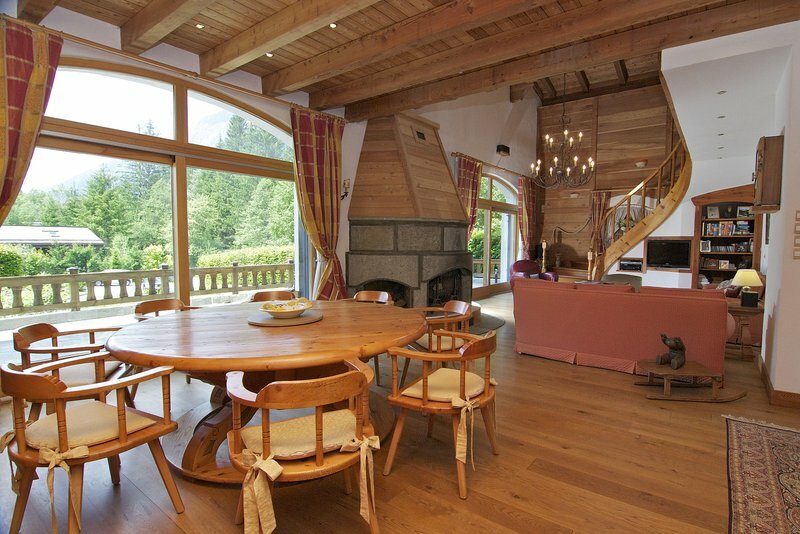 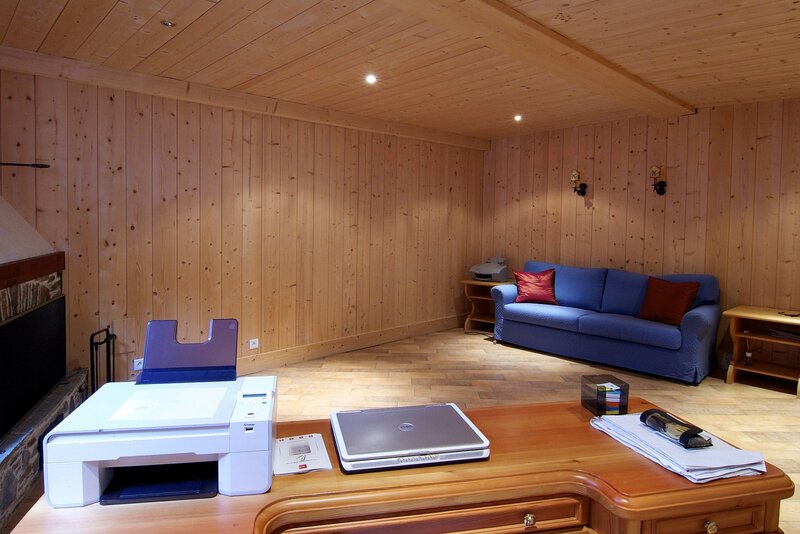 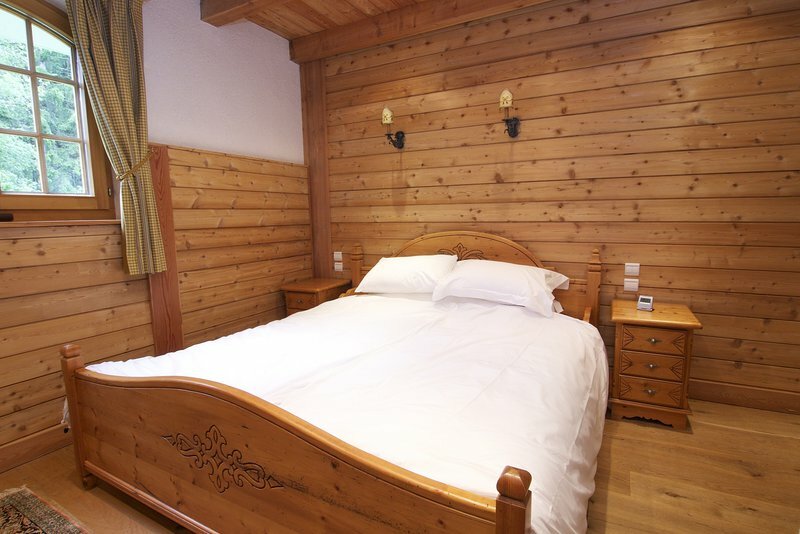 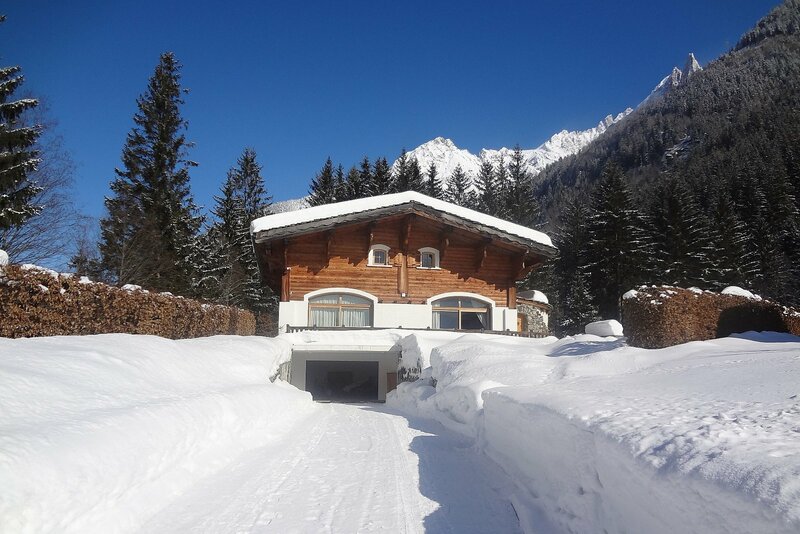 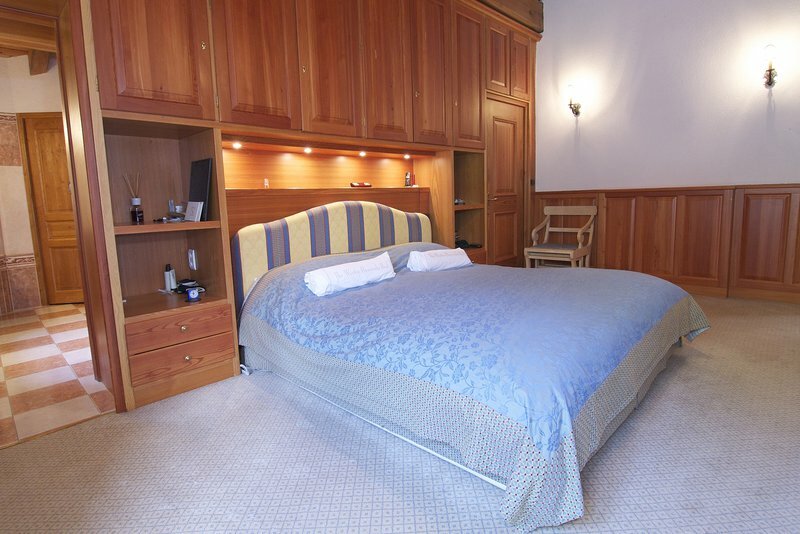 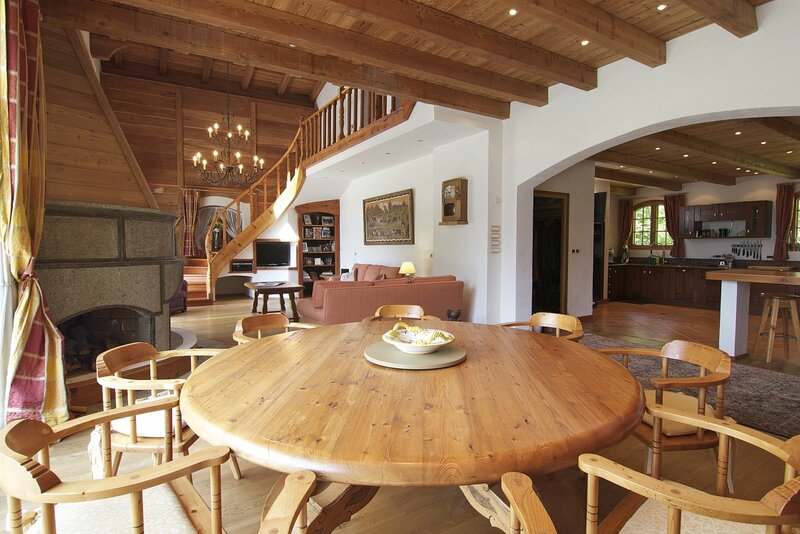 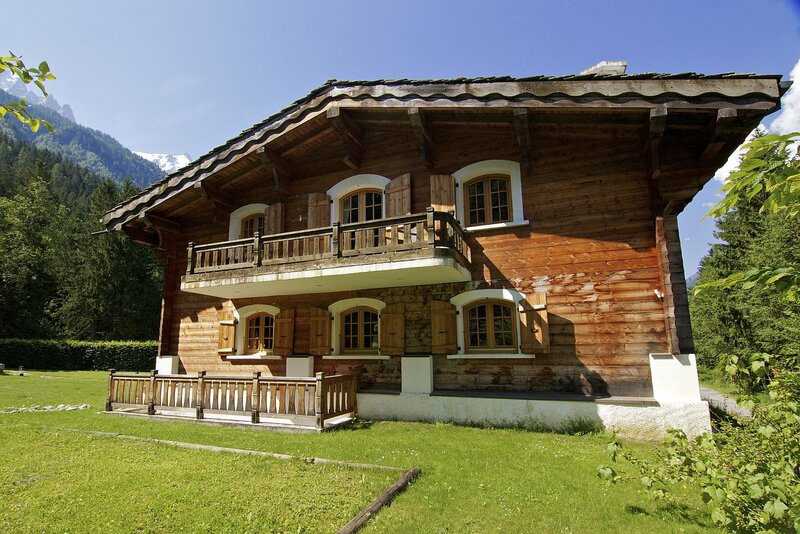 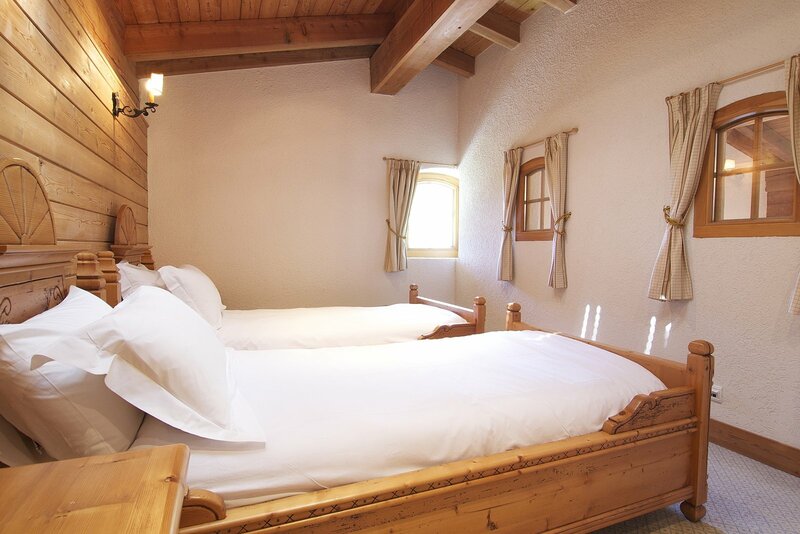 Chalet les Coverays is situated in the exclusive les Coverays area of Chamonix, just under a 20 minute walk (1.6km) to the north-east of the town centre, towards les Praz. 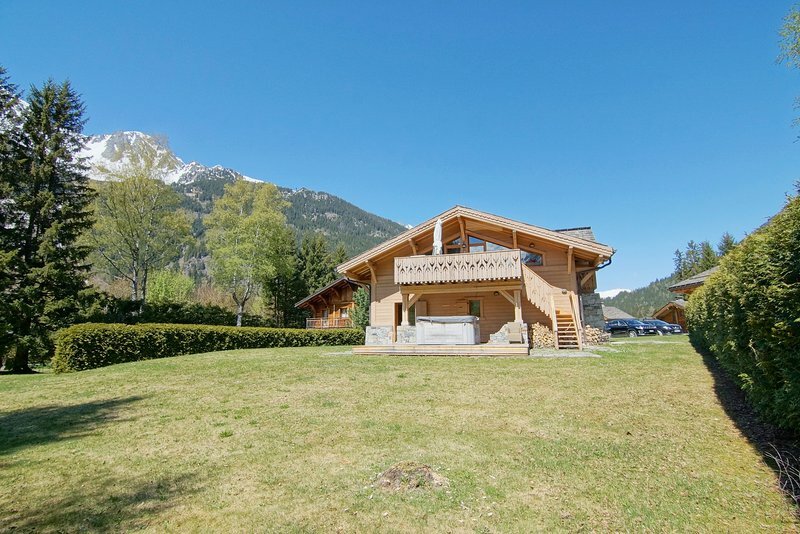 The chalet backs onto protected forest with many walking and biking trails running along the Valley and up to the Petit Balcon Nord, with the cross-country tracks in the Bois du Bouchet just over 250 metres away. 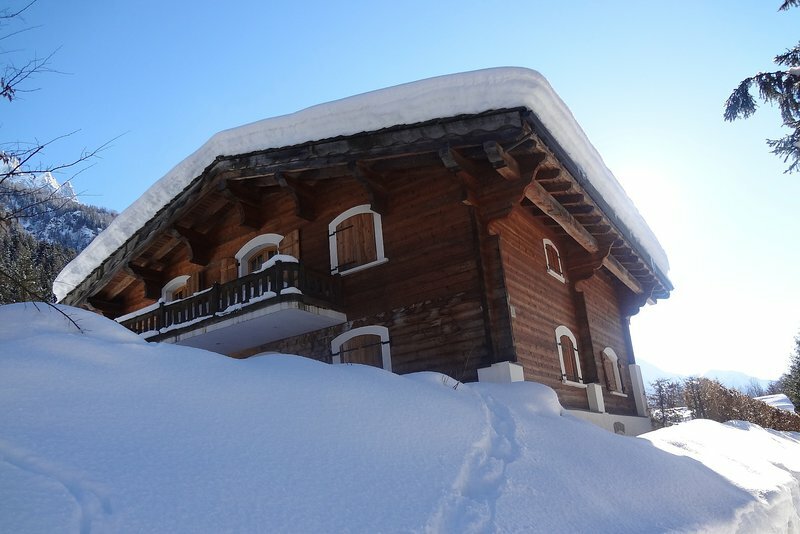 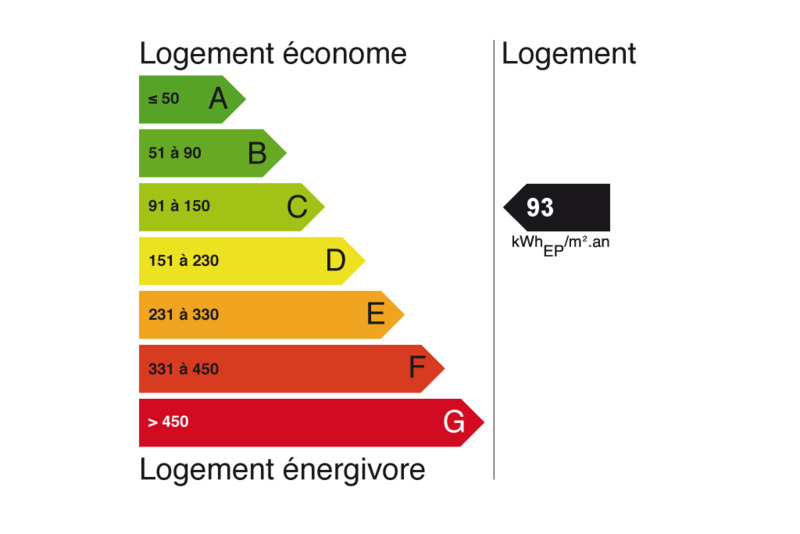 For access to the slopes, the nearest lift is the Flégère cable car, a couple of minutes away by car (1.3km). 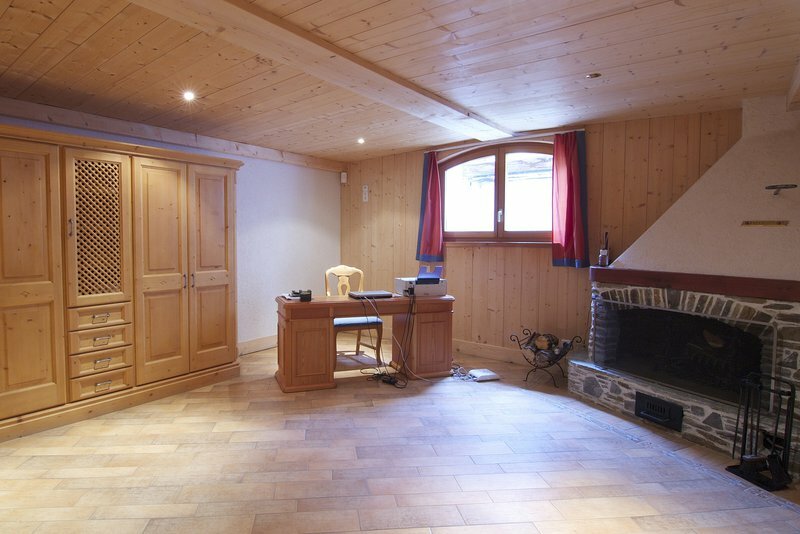 For public transport, the nearest bus stop is 250m from the chalet and the nearest train station is in les Praz, less than 15 minutes walk (1.1km). 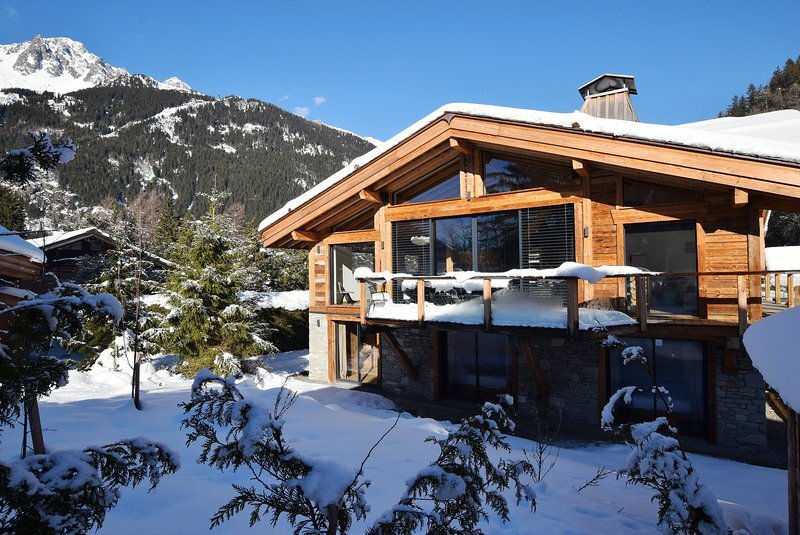 The closest restaurants, bars and shops are in Les Praz and the nearest supermarket is in Chamonix, all less than 2km from the chalet.